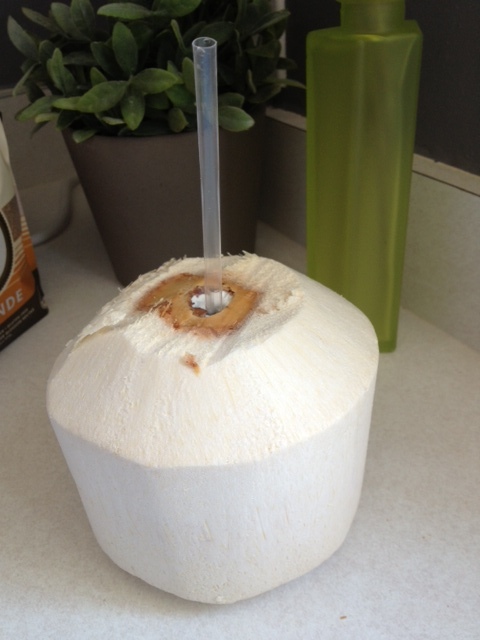 Young coconut water is an incredibly refreshing source of electrolytes and potassium. Drink it right from the coconut or drain and use as a base for smoothies. The soft inside can then be scraped and eaten from the shell. The flavor is subtle and delicious! If you’re in the SF Bay Area, Whole Foods carries this (cleaved top and straw included) in the refrigerated section on the left, as you walk in the store. If you’re looking for a packaged version that tastes like the real deal (I’ve tried a bunch of stinkers), I recommend Harvest Bay’s version. 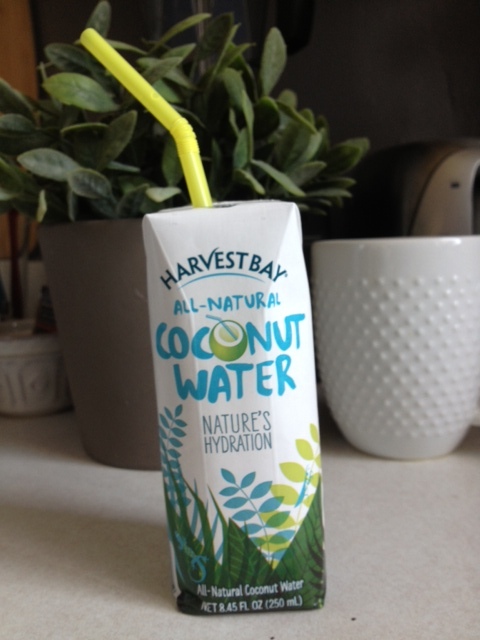 It is 100% coconut water and has only 40 calories and 4 grams of sugar per 8.45 oz serving. Another one that scores high in taste tests is Vita Coco. If you’re looking for a packaged version that tastes like the real deal (I’ve tried a bunch of stinkers), I recommend Harvest Bay’s version. 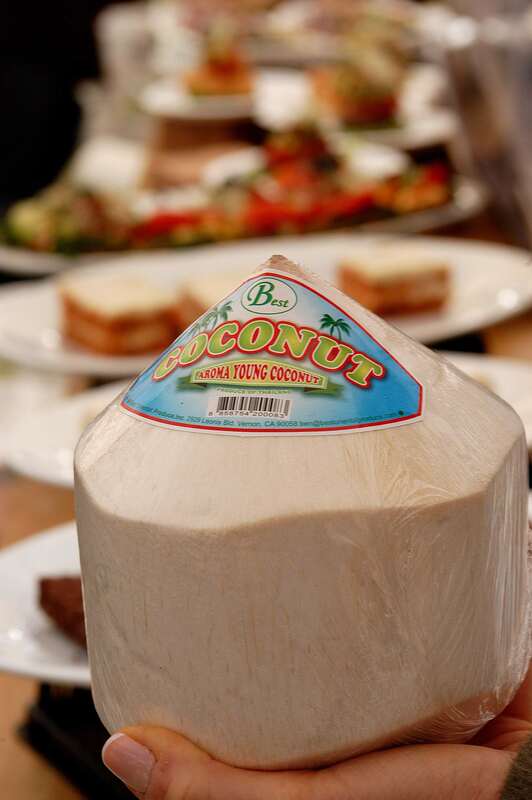 It is 100% coconut water and contains only 40 calories and 4 grams of sugar per 8.45 oz serving. You can find it online, or locally at Molly Stone’s, Draeger’s, and World Market. 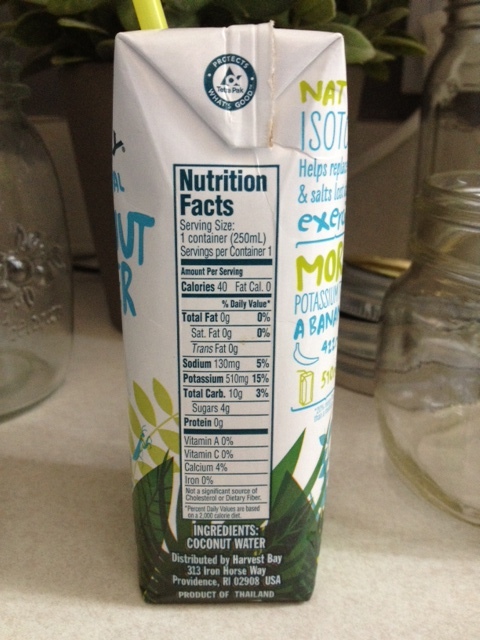 Another brand that has gotten good reviews is Vita Coco (http://www.huffingtonpost.com/2013/06/07/the-best-coconut-water_n_3398797.html#slide=2541442). Please share your favorites in the comments section!